Where Do You Want Your Risk? We think constantly about risk. That’s normal I guess given how seriously we take our fiduciary responsibility to clients. Anyone who claims to know what’s going to happen with stocks or bonds or interest rates or bitcoin in the near future is making a guess. The risk in any investment is simply the probability that the actual return of an investment will not meet the expected return. 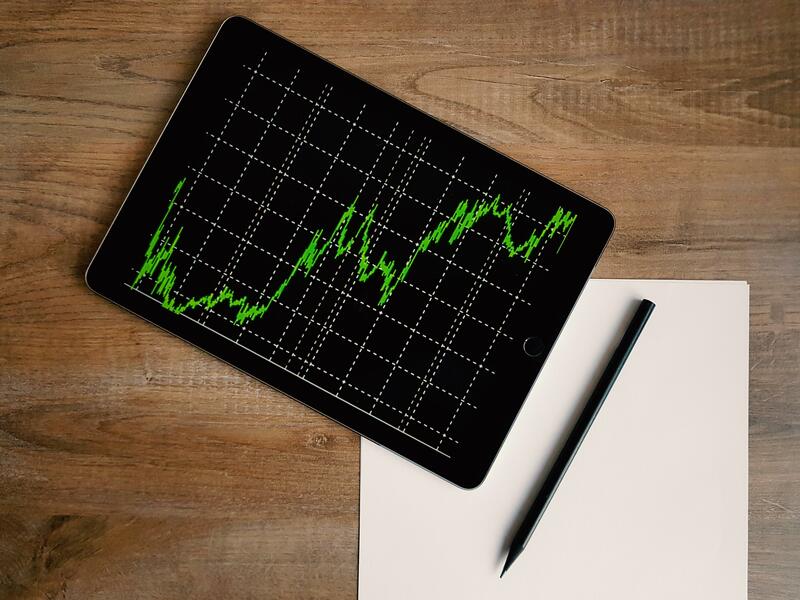 Thus we use evidence and the science of portfolio construction, combined with the art of behavior management, to create investment strategies we believe will produce the best results over time. As I think about risk I often reflect on why we put ourselves through the volatility of stocks; the highs, the lows, and every seemingly destructive blip in between. It boils down to alternatives really. If we’re not going to opt in for all or some of the wild ride stocks produce, then what are we going to do with our money? Starting with the basics, if we seek downside protection then we’re really looking to cash assets. Cash is basically the only place on earth you can get principal protection. Even though cash in the bank is insured up to $250,000, remember this is backed by the FDIC and federal government, not some intergalactic universal treaty. In the worst case, there’s still an infinitesimal risk that the government won’t be around to fulfill its promise. Cash, as represented by the US 30-day Treasury Bill, has returned 3.4% per year over the period of 1926-20171 while inflation has averaged about 3%. When you do the math, an investment in cash only had a 0.4% real return before tax. Subtract taxes and the real return turns negative to -0.8%. With a negative real return, cash investments haven’t kept up with inflation and thus cash is an example of taking virtually no risk now but taking lots of risk later. The risk later is that $1 today will be worth about half as much in 20 years at just a 3% rate of inflation. Said another way, a retiree living on $100,000 per year at age 60 may require $200,000 per year by age 80. As I follow this thought process, it occurs to me that cash is a great place to hold short term reserves but is ill suited as a long-term investment. If we step off the risk curb just a bit, then we can examine bonds. There are different types of bonds but basically you’re making a loan to either the government, in the form of treasuries or municipals, or to corporations in the form of corporate bonds. For that loan, you are promised a fixed rate of interest during the holding period and your principal returned at the end. The biggest risk to bonds is that the issuer won’t be able to pay you back the money you’ve lent. This is known as default risk. A second risk in bonds is interest rate risk. This is the risk that your bond will decline in value during your holding period due to changes in interest rates. Interest rates and bond prices have an inverse relationship. When rates go up, prices go down and vice versa. Why? Let’s say you own a $10,000 bond paying 4% per year. Now let’s further assume interest rates go up overnight so that the going rate for new bonds is 5%. Your neighbor can now go into the open market with his $10,000 and buy a bond paying 5%. If you were to sell your bond to your neighbor now, instead of holding on to maturity, you would have to sell it at a discount to $10,000 to compensate him for the difference in your rate and the rate at which he could buy a new bond. However, as long as you hold that bond to maturity and as long the issuer doesn’t default, you will receive your $10,000 back plus the interest payments you’ve received during the term. The average annual return for bonds during 1926-2017 has been 5.5%2 while inflation has again averaged 3%. Bonds have produced a real return before taxes of 2.6% per year. After taxes are added to the picture, you are left with a 0.6% real return. Better than cash for sure, but still only a marginal positive real return once you factor in the haircut from taxes on your bond payments. Now, if we’re not going to put all of our money into cash and/or bonds, that brings us back to investing in stocks. I think it’s easy to associate stocks with the stock market, but that’s not the best way to look at it. When you buy shares of a stock you are buying actual ownership in a company. When you buy a stock ETF or mutual fund you are essentially pooling your assets with other investors to buy shares of actual companies. And as an owner you get to participate in the upside of this company. If you buy Apple stock, as an example, you may enjoy the upside in price when they launch their iPhone 26 and it becomes the best-selling phone ever. You may also receive some income from your stock ownership in the form of a dividend. But stocks are risky because as an owner you are last to get paid. I’m sure my business owner friends can relate. All the other creditors are ahead of you including the bond holders. You also may have to deal with your company missing earnings one quarter or the CEO’s bachelor party photos getting leaked on the internet which may result in depreciation in the value of your stock. But with that risk comes reward. Buying stocks of America’s great companies has netted 10.2%3 during the period of 1926-2017. Remove inflation and your real return would have been 7.1%. Pay some taxes, which are usually levied at the more favorable capital gains rate, and you’re still left with a strong inflation busting real return of 5.1%. With stocks however you’re very much taking your risk now in the form of day to day volatility. Those higher long-term returns come with a much more difficult experience. Add to that the only way to actually capture those higher long term returns is to commit ahead of time to suffering through the dark days, weeks and even months. When we construct portfolios consisting of these assets classes by assessing your goals, risk tolerance, time horizon, and tax situation we are also considering how much real return is required to either build enough wealth to reach your goals, or how much is needed to keep you wealthy for the remainder of your life. So, where do you want your risk? 1, 2, 3. Data and calculations are from Morningstar. Assumes reinvestment of dividends and no transactions costs. An investment cannot be made directly in an index. Past returns are not indicative of future results. Stocks are represented by the Ibbotson® Large Company Stock Index. Bonds are represented by the 20-year U.S. government bond. Cash is represented by the U.S. 30-day Treasury bill. Inflation is represented by the Consumer Price Index.